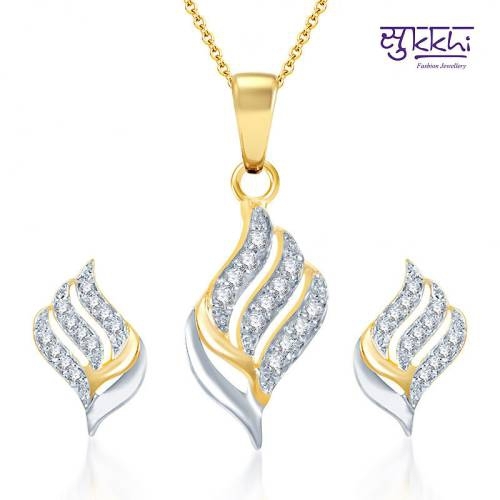 This is a beautiful gold and rhodium plated pendant set studded with cubic zirconia stones. It has an 18ct gold plating, and gives the impression of real diamond jewellery. It has matching earrings. You can garner compliments by wearing it for the next big occasion.